← Worked on the 64th floor of the World Trade Centre, and on September 11, 2001 was the last person pulled alive from the wreckage. I do not welcome TALIBAN in Kabul or Islamabad. Lal Mosque Disaster. The al Furqan centre and book shop in Springvale. POLICE yesterday raided up to a dozen properties in Melbourne, seizing guns and arresting one man over alleged links to home-grown Islamist terrorism. What is the al Furqan centre? The 23-year-old man from the outer-eastern suburb of Officer was expected to be charged last night with collecting or making documents ”likely to facilitate terrorist acts”. State and federal police had seized items including a computer memory stick containing ”violent extremist materials”, imitation firearms and ”a number” of registered guns, police said in a statement. 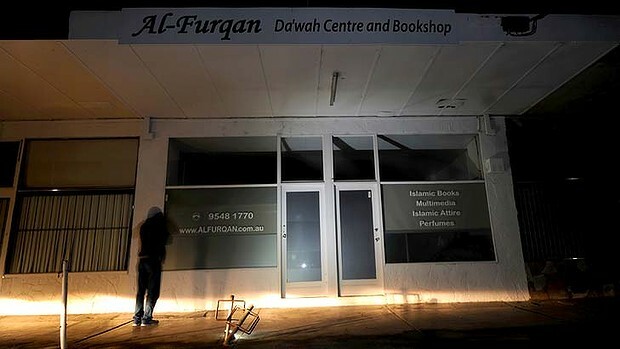 The operation, revealed exclusively last night by theage.com.au, was targeted at individuals connected with the Al-Furqan centre in Springvale. The centre, which also hosts a bookshop, while not a mosque is associated with fringe Muslim preacher Sheikh Harun, also known as Harun Mehicevic, who is believed to be overseas. The imam of the nearby Bosnian mosque in Noble Park, Ibrahim Omerdic, said Sheikh Harun had led a group of ”radical followers” away from the Noble Park mosque about 10 years ago. Mr Omerdic described Sheikh Harun as a very patriotic Bosnian, but said he had left with a small group of followers and went on to form the Al-Furqan Islamic Centre after doctrinal disagreements. ”They radicalised matters regarding women and men. He said Muslims were not allowed to vote,” he said. The source said the people targeted for the operation were not believed to have been involved in a fully realised terror plot, but were involved in ”contemplating and getting information” about terrorist activities. A search warrant for the Al-Furqan centre says police were looking for material relating to 11 people between the ages of 22 and 40, and information connected to 12 addresses. They were in Narre Warren, Springvale South, Narre Warren South, Officer, Craigieburn, Hallam, Ormond, Endeavour Hills and Noble Park. Most of the properties were raided in the operation, which began early yesterday. The warrant also says police are looking for copies of the infamous al-Qaeda-produced magazine Inspire, which reportedly nominated Sydney as a potential terror target earlier this year. The warrant says the material police are searching for is either connected with terrorist acts or the collecting and making of documents that are ”likely to facilitate terrorist acts”. Sources said the men targeted were Australian residents of mixed cultural backgrounds. One man whose house was raided condemned the police and intelligence services in a Facebook posting. ”And look at the tactics. They come early in the morning [6am] and break the door of the markaz and about 20-30 come to the door of my neighbour as well. He [the neighbour] is overseas and has no control over what’s happening over here,” he wrote.